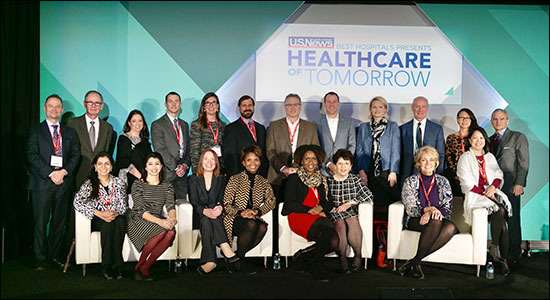 A delegation of Texas Children’s physician leadership, executives and experts were recently invited to attend the 6th annual U.S. News & World Report Healthcare of Tomorrow summit in Washington, D.C. 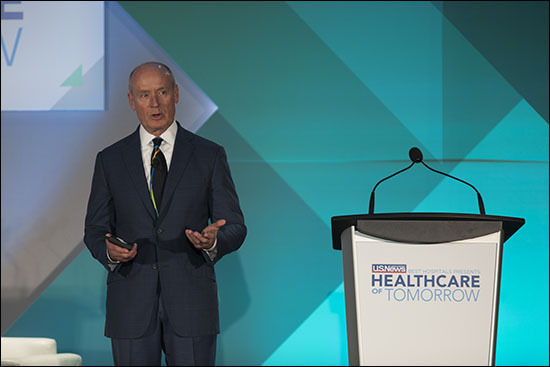 There, they met with top hospital leaders, policymakers, insurers, consumer advocates and other industry professionals from across the country to discuss some of the most important topics in health care today. Texas Children’s had a major presence throughout the event. Not only did we sponsor key discussion sessions, but every attendee had their event credentials on a Texas Children’s-branded lanyard, Additionally, a raffle of four sets of Rudolph’s Pediatrics, the landmark pediatric health care reference, of which Physician-in-Chief Dr. Mark W. Kline is editor-in-chief, was extremely well received at our conference booth. Kline and Surgeon-in-Chief Dr. Larry Hollier also represented Texas Children’s as featured event speakers. In his keynote address, “Global Child Health at the Tipping Point: Lessons from the Field,” Kline stressed that though significant progress has been made to improve child health and mortality rates worldwide, challenges still remain, especially in resource-limited countries. He also said that through increased awareness, partnership and active engagement, those challenges can become opportunities for health care providers to improve the lives of the world’s poorest and least fortunate. 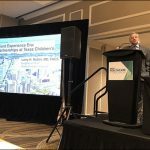 To illustrate this point, Kline highlighted the successes and lessons learned of the Baylor International Pediatric AIDS Initiative (BIPAI) at Texas Children’s Hospital in helping stem the tide of the AIDS pandemic, particularly in sub-Saharan Africa. The network, which Kline founded in 1996, has grown from a single pilot HIV clinic in Romania into a comprehensive global health network – the largest HIV/AIDS network in the world – that includes 16 centers and clinics in 14 countries, providing care for hundreds of thousands of children and families, education for nearly 90,000 health care professionals, and research into pediatric health. Kline also explained how leveraging the BIPAI network’s infrastructure has enabled Texas Children’s to extend its global reach and to offer care for many other diseases and disorders, including pediatric cancer, sickle cell anemia, OB/GYN care, tuberculosis, malaria, malnutrition and other conditions. 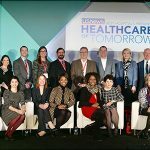 At a discussion session entitled “The New Patient Experience Era: Focusing on the Consumer of Tomorrow,” Hollier and other panel members addressed how enhancing the patient experience can lead to improvements in quality and safety and to increased consumer and caregiver satisfaction. 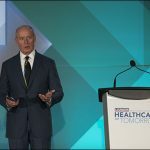 Hollier discussed the crucial role that partnerships have played in improving patient experience at Texas Children’s. One such solution was an initiative to improve communication and interaction between providers and patients and families. 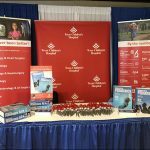 Partnering with experts at Press Ganey and Academy of Communication, and drawing information from provider and patient/family surveys, we developed a communication training curriculum for caregivers that elevates the level of engagement for families. Providers now feel empowered to manage interactions between both patient and parent, and are better equipped to communicate important information in a way that families will understand. Texas Children’s also relied on partnership with families during the development of Lester and Sue Smith Legacy Tower. A 20-member Family Advisory Board worked for three years, from initial planning to the go-live date, to ensure that families’ needs were kept at the center of important decisions. Their input was essential for room and facility layouts, in simulation exercises, and for the development of family support resources during the move into the new building. 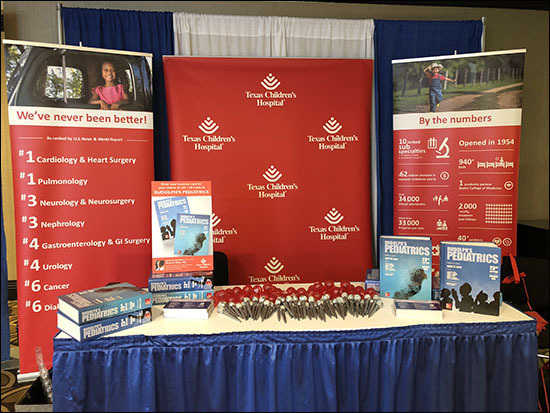 For Texas Children’s Department of Surgery, partnerships have been integral in enhancing tech processes, which has led to several improvements across the Texas Children’s system, including streamlined and transparent data sharing, consolidation and standardization of our and our providers’ online presence, and more frequent updates and scheduling information for families during surgery through the EASE app. 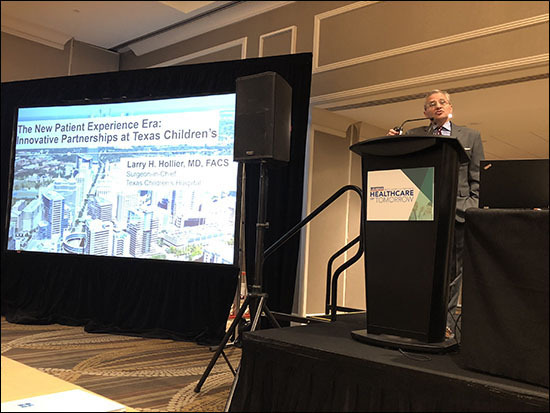 Hollier also highlighted Texas Children’s recent partnership with Disney, a $100 million initiative that has the potential to transform the patient experience in children’s hospitals across the globe. Initial concepts for development include allowing children to customize their hospital visit with their favorite Disney stories and characters, reimagining spaces through augmented and virtual reality experiences, and creating themed treatment and patient rooms with interactive elements.